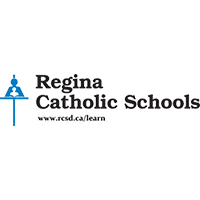 Regina Catholic School is a K-12 education association located in Regina, Saskatchewan in Canada. With a focus on faith development, student learning, leadership skills, community service projects, as well as academic success, the school continues to grow. Regina serves over 10,000 students and 900 staff members and is the fifth largest school division in the province. The IT department at Regina has to manage the passwords for students, teachers, superintendents and all other employees, as well as 2000 different machines including laptops, tablets, and PCs. Like many other schools, the staff is away for the summer and employees tend to forget their passwords during that period of time. Come September 1st, Regina needed two full time employees manning the phones to handle the 400-700 password reset requests, each of which had to be handled one at a time. "While we would be resetting one password, we would have 15 more people calling in for password resets. We would have to listen to their voicemail, reset their passwords, and can contact them back while they were in the middle of teaching a class," said Thomas Fennell, System Infrastructure Analyst at Regina Catholic School. This was not only a headache for the IT department, but also for the teachers since they had to stop teaching to contact the helpdesk. The school realized they needed some type of solution that would alleviate the high volume of password reset calls they were receiving. Fennell came across Self Service Reset Password Manager (SSRPM) by Tools4ever. "We liked the recording aspect of SSRPM. It would allow us to see exactly who enrolled, who hadn't, and who had attempted to. Other solutions we were looking at did not have this quick recording action." Additionally, SSRPM was extremely cost efficient, which was important due to school budgeting. calls by more than 75%." SSRPM now allows teachers and other employees at Regina to reset their own passwords without having to contact the IT department at all. They simply register with the solution, which consists of providing answers to security questions of their choice. Then when they need to reset their password, they correctly answer their security questions and are able to reset their password on their own. Tools4ever was also able to quickly implement the solution before the beginning of summer break so that employees could enroll in and get familiar with the solution before they left. Regina used the credential provider client and pushed it out via Group Policy to have the staff enroll. "Rolling out the solution was simple, and we had little to no problems," commented Fennell. "SSRPM has been a huge time saver for us. It has cut our password reset calls by more than 75%," said Fennell. Now, rather than having to interrupt their classroom time, teachers can proactively reset their own passwords without having to contact the helpdesk. "It has allowed our busiest time of the year to go much smoother. It is nice to sit back and rely on SSRPM come September," added Fennell. Rather than focusing on password resets, the IT department now has more time available to them to deal with more important issues.